That Sherlock Holmes, aye? A hundred years down the line and authors still can’t get enough of The Great Detective. He’s been reinterpreted, reimagined, rebooted, restyled, and flung through time. Writers have pored over Conan Doyle’s every sentence to find inspiration for untold stories. In Baker Street everyone’s a star. Minor characters have been plucked from obscurity and given their own series – and still readers can’t get enough of his Victorian world. 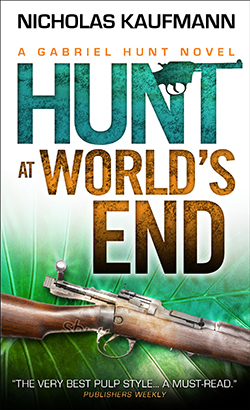 Now sci-fi author James Lovegrove has given Holmes a steampunk vibe by pitting him against The Thinking Engine. It’s 1895 and Professor Quantock has put the finishing touches to a wondrous computational device that, he claims, is capable of analytical thought to rival that of the cleverest men alive. Holmes and Watson travel to Oxford, where a battle of wits ensues between the great detective and his mechanical counterpart as they compete to see which of them can be first to solve a series of crimes. 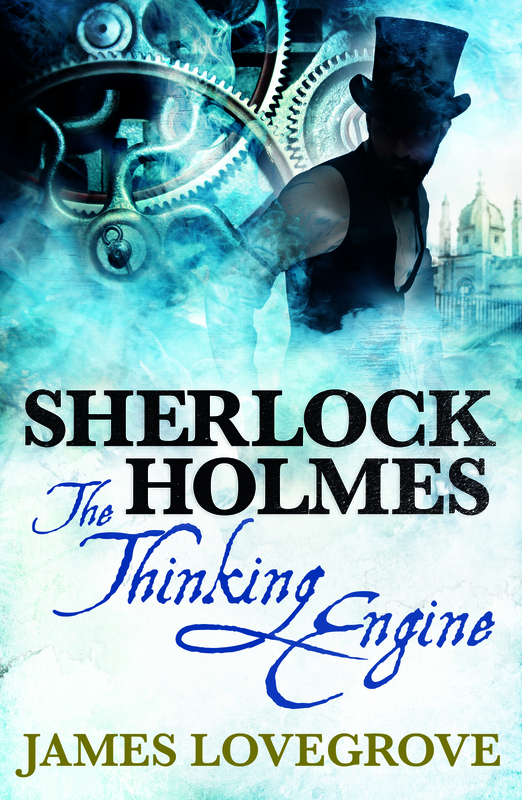 As man and machine vie for supremacy, it becomes clear that the Thinking Engine has its own agenda and Holmes and Watson’s lives are on the line as a ghost from the past catches up with them. James is the best-selling author of The Age of Odin, the third novel in his critically-acclaimed Pantheon military SF series. 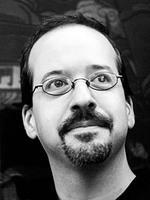 He was short-listed for the Arthur C. Clarke Award in 1998 for his novel Days and for the John W. Campbell Memorial Award in 2004 for his novel Untied Kingdom. 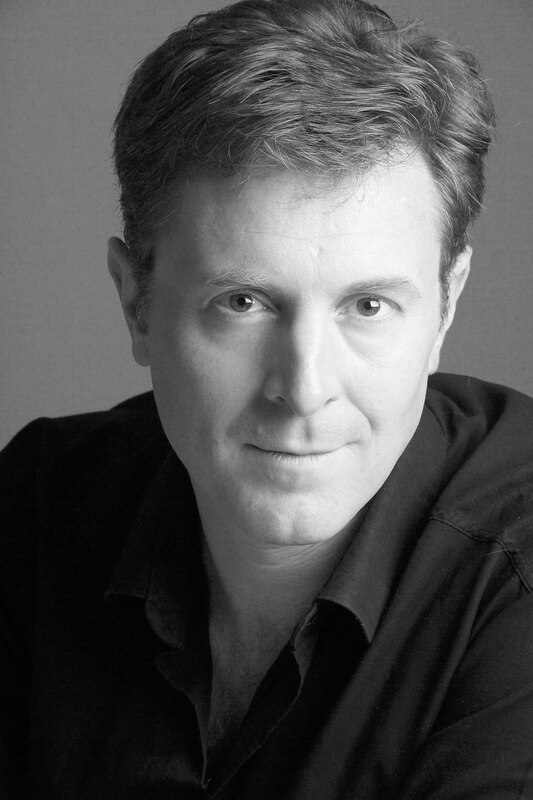 A reviewer for The Financial Times, he’s also the author of Sherlock Holmes: Gods of War and Sherlock Holmes: The Stuff of Nightmares, which are also published by Titan Books. In this intel interview, James talks Holmes and zombies, crosswords, Solomon Kane, our old friend Fu Manchu, and the Darwinian business of writing. It’s fascinating stuff — enjoy! I’ve set the book in Oxford in 1895, drawing on the reference in the Conan Doyle tale The Three Students, in which Watson states that in the spring of that year “a combination of events, into which I need not enter, caused Mr Sherlock Holmes and myself to spend some weeks in one of our great university towns”. I myself was at Oxford between 1985 and 1988, studying for a degree in English Literature, so I know the place reasonably well and I thought it would be interesting to write a full-blown Sherlock Holmes novel in the City of Dreaming Spires, where he would be surrounded by intellectuals and academics, and also incorporate some of the local history and folklore into the story. I’d done that in Gods of War, which takes place in and around my current hometown, Eastbourne, and enjoyed the process. People tend to associate Holmes with Victorian London, but I think it’s fun removing him from all that’s familiar and giving him a new geography to explore. The plot of the novel involves the creation of a computation device by a mathematics professor which seems to be capable to solving crimes. The machine is even, its creator claims, the equal of the great Sherlock Holmes. That’s a red rag to a bull as far as Holmes is concerned, so he travels to Oxford to establish the truth and uphold his reputation. There follows a series of mysteries, with the computer, called the Thinking Engine, always one step ahead of the great detective. And I’m not going to say any more than that, so as not to spoil the surprises. Rest assured, though, that all is not as it seems. Why is the character of Sherlock Holmes as popular now as he has ever been? A friend of mine, who’s a fellow Sherlockian, once likened Holmes to the ultimate older brother, and I like that description. We all know he’s a younger brother, of course, but he seems to fulfil a fraternal role as far as Watson is concerned, and therefore as far as we, the readers, are concerned, because Watson is our point of identification, the vehicle through which Holmes is mediated. Holmes is smarter, stronger, quicker on the uptake than Watson, always leading him along, goading him, sometimes chiding him, sometimes even bullying. Watson looks up to him, all the same, and we do too. That, to me, is part of Holmes’s appeal: he feels like close kin. But also, he is resolutely on the side of the angels. He may not be the most patient or empathetic of heroes, but he is nonetheless a hero through and through. He represents certainty, the assurance that things will turn out well, that evil can be overcome through the application of energy and intelligence. That’s a very comforting message. The analytical Holmes is a perfect fit for a steampunk movie – which director would you like to see adapt your books for the big-screen? I haven’t really thought about movie adaptations or suitable directors. With all my books, I write them because they’re novels and are meant to be, novels and nothing else. Prose fiction is the medium I work in, the medium I understand best. First and foremost, I want to tell a good story in prose. What I would like to see, though, and be involved in, is a Holmes TV series that injects him into various SF/fantasy/horror situations. The setting would be the Victorian/Edwardian era. Holmes, Watson and all the secondary characters would be exactly as they are in the books. The only difference would be that he has to pit his wits against vampires, zombies, aliens and the like. In fact, I’m making moves in this direction already. Watch this space. Holmes novels are clever puzzles, and you actually contribute cryptic crosswords to newspapers – do you have to have a logical mind to write The Great Detective? I’m sure a logical mind helps, especially when it comes to putting together a plot. However, there is plenty of emotion in Holmes stories too, or there should be. He isn’t just a cerebral being, devoid of feeling. He has passions and latent empathy, and it’s important for any Holmes pasticheur to put those across. I love exploring the relationship between him and Watson. There’s endless possibility for interplay and even humour there. Holmes himself is, in a very acerbic, droll way, funny. Not everyone sees that. He has a very English sense of understatement and irony, and even when he’s mocking Watson or a dull-witted Scotland Yard inspector, he does it with affection. Any novel, but especially a mystery-adventure novel, needs to have strong characterisation as well as rock-solid plotting. Logicality alone would create something that’s dry as dust and no fun. You’ve written about Holmes as well as the many Gods of the great mythologies as part of your Pantheon sci-fi series – are there any other literary or mythological characters you’d like to get your hands on? I would love, love, love to write a Fu Manchu novel. I have made noises about this to various publishers, particularly Titan, who are reprinting the original Sax Rohmer stories in lovely new paperback editions. The problem there is partly a copyright issue but also the popularity of the character, which is relatively low, especially when compared with someone as internationally recognisable as Holmes. There is also the racism issue to address, Fu Manchu being of course the stereotypical “Yellow Peril” villain. I’ve thought of a way of dealing with that, by setting the story in the present day and incorporating the politics of modern China into the narrative. However, I suspect this project will remain forever a pipe dream. As will my desire to write a Solomon Kane novel. Kane, as I’m sure you’re aware, is one of Robert E. Howard’s lesser series characters, and I feel that Howard could have done more with him outside the handful of short stories and the very bad poems he wrote about him. There was lots to explore there, and the sheer internal contradiction in the concept of a Puritan adventurer is fascinating. Again, there are rights issues to consider here, though, and even the recent movie, which was surprisingly authentic and good, did little to raise Kane’s profile outside genre circles. That it’s incredibly difficult to make a decent living in this business. I’m doing reasonably well as a full-time writer, better than many, but that’s largely because I work my backside off and have been in publishing long enough (well over a quarter of a century!) and put out enough books (well over fifty!) to have built up a good roster of professional contacts and, perhaps, a reputation. It’s difficult realising you’re never going to be in the Stephen King or J.K. Rowling leagues, you’re never going to sell books in those quantities, you’re never going to become a multimillionaire writer and be able to retire to the Bahamas and drink cocktails for the rest of your days. Those guys are the exception. The rule is the mid-listers like me who can just about get by. You have to be content with reaching the readers you do reach and simply earning an income from writing stories. Always you can hold out the hope of the big bestseller, the one that finally makes your name and gets the world to sit up and take notice. But, in an industry as tough and Darwinian as this, getting by is good enough. Who are the crime authors you admire, and why? Other than Conan Doyle? I don’t have many favourites. I tend not to read much crime fiction, and especially not police procedurals, which I can’t seem to acquire a taste for. That said, I always liked Colin Dexter’s Inspector Morse novels. I’m a sucker, too, for a locked-room mystery, which I like to think of as a cryptic crossword in fictional form, as long as the author plays fair with the reader, just as a crossword setter should play fair with the solver. I have Otto Penzler’s massive Black Lizard compendium of locked-room mysteries by my bedside and am loving dipping into that, and I’m looking forward to his Holmes-pastiches companion volume which is due out soon. I was also a bit of a fan of Andrew Vachss’s Burke series while it lasted, particularly the early ones, while Darwyn Cooke’s graphic novel adaptations of Richard Stark’s Parker stories are things of beauty. You have to work. Work, work, work. Never miss a deadline. Never say no to an offer of gainful employment. Some people seem to think being an author is an honour, a privilege. It is, but it’s also a job. You put the hours in. You do it the best you can. You don’t just sit there and think how wonderful it would be if the words just magically appeared. You make them appear, through effort and thought. Once you figure that out, it becomes easier. I’ve just finished the first of a trilogy, known collectively as The Cthulhu Casebooks, in which Sherlock Holmes tackles gods, monsters and madmen drawn from, or inspired by, the H.P. Lovecraft canon. That’s out in late 2016, with the sequels to follow at yearly intervals. I’ve just begun work on a new Pantheon novel, one featuring the Ancient Greek demigods. It’s something of a murder mystery itself, with a protagonist who’s a semi-successful crime writer – although a long, long time ago he used to be someone a lot more famous and proactive when it came to dishing out justice. That, too, is out next year, late summer I think, coming on the heels of the second of my Dev Harmer outer-space-action series. I’ve a couple of other projects bubbling away on the back burner. Staying busy! Sherlock Holmes: The Thinking Engine is out in paperback and ebook, from Titan Books. This entry was posted in Authors, The Intel Interviews and tagged Andrew Vachss, Arthur C. Clarke Award, Colin Dexter, Days, Dev Harmer, Fu Manchu, Gods Of War, H.P. Lovecraft, Inspector Morse, J.K. Rowling, James Lovegrove, Otto Penzler, Pantheon, Parker, Richard Stark, Robert E. Howard, Sax Rohmer, Sherlock Holmes, Sherlock Holmes: Gods of War, Sherlock Holmes: The Stuff of Nightmares, Sherlock Holmes: The Thinking Engine, Sir Arthur Conan Doyle, Solomon Kane, Stephen King, The Age Of Odin, The Cthulhu Casebooks, The Three Students, Untied Kingdom on September 10, 2015 by Crime Thriller Fella.